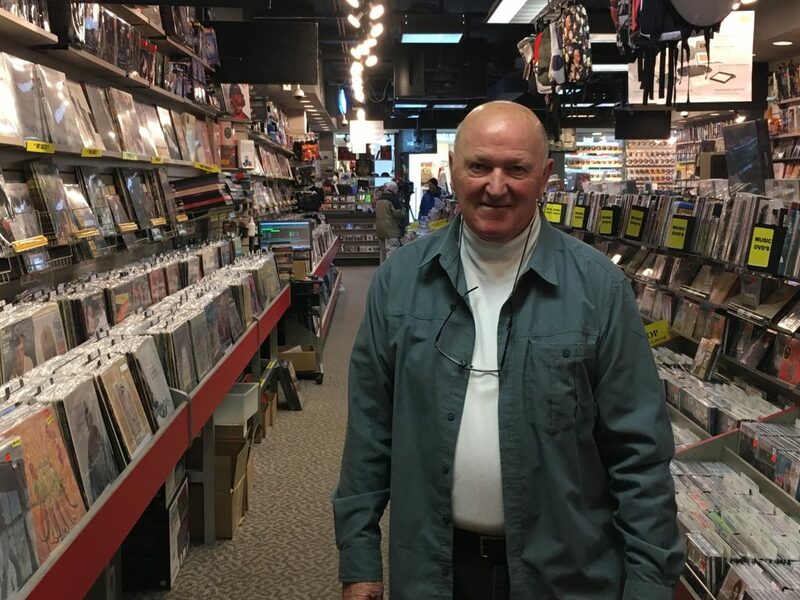 BELLEVILLE – The last Sam the Record Man still in operation has another plan to stay spinning. Spencer Destun, who has run a handful of the stores with his wife Holly and son Krystopher, is collecting signatures in support of making his Quinte Mall store an official Ontario tourism destination. His original application to the Ontario Ministry of Tourism, Culture and Sport was rejected because of criteria that prevents retail outlets from making the cut. Sam’s once had over 140 locations across Canada. Destun said it accounted for about a third of the country’s vinyl sales in the seventies, but that changed as vinyl was pushed aside in favour of modern formats. Destun said although music distribution has changed, the demand for music has not. CDs, movies and entertainment merchandise are also available at Sam’s. Destun said he’s also taken advantage of the resurgence in vinyl popularity through online sales. “That’s what we’ve been doing now for 35 years, every time something comes along we try to find a way to use it to help our business,” he explained. If the petition is successful, Sam’s would receive signage on Highway 401. Destun said music lovers from Toronto, Ottawa and Montreal have made the drive to see his store before. Destun says Sam’s played a large role in strengthening the impact of Canadian music at its flagship store in Toronto. “Sam Sniderman gave every Canadian artist that walked into that store shelf space,” he said. Destun said he makes sure that philosophy lives on, offering Belleville area musicians a place to sell their work. “We have never taken a penny from any artist locally that we have put into the store and there have been hundreds. That’s a legacy – that’s why we are a cultural icon,” he said. If successful, Destun’s plan would not be the first time Sam the Record Man has benefitted from a petition. 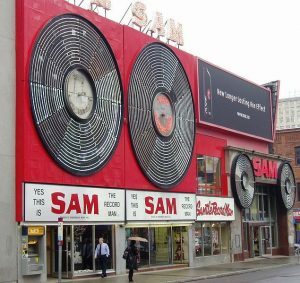 Ryerson University purchased Sam’s Yonge Street property in 2013 with plans to erect its trademark storefront records on campus. They later reconsidered the display, prompting acclaimed musicians like Rush’s Geddy Lee and The Tragically Hip’s Gord Downie to write Toronto city council in protest. Ryerson was eventually convinced to place the sign elsewhere in downtown Toronto where it is still viewable from Yonge Street. It can be found on iPetitions, GoPetition or in-store. He is sitting at over 500 entries right now and said he will gather signatures until he feels the time is right.